Until the day of Pentecost, the disciples, who had received, by the outbreathing of Christ, the indwelling Spirit, waited for His coming "upon" them; and when that day was fully come, with the outward manifestations of sound and flame, He came. They were baptized with the Holy Ghost; and not only baptized, but "filled with the Holy Ghost." -from Plain Papers on the Doctrine of the Holy Spirit In the late 19th century, a new fascination with Pentecostalism gripped American Christianity, one that continues to this day to influence fundamentalist interpretations of the Bible. This 1899 book, a literal reading of Scripture, offers Christians the path to a direct relationship with the Holy Spirit. From the nature of this being to the absolute necessity of all Christians to commune with it, this is a vital historical work that all students of the Bible will want to read. OF INTEREST TO: Bible-study groups, seekers after wisdom AUTHOR BIO: American clergyman CYRUS INGERSOLL SCOFIELD (1843-1921), a Civil War veteran who fought for the Confederacy, was a lawyer until his evangelical conversion in 1879, after which his life was consumed with preaching and missionary work. In 1890, he founded the Scofield Bible Correspondence Course, and he wrote numerous works of Biblical analysis and other fundamentalist issues. Plain Papers On The Doctrine Of The Holy Spirit by Rev C I Scofield was published by Cosimo Classics in June 2006 and is our 60196th best seller. 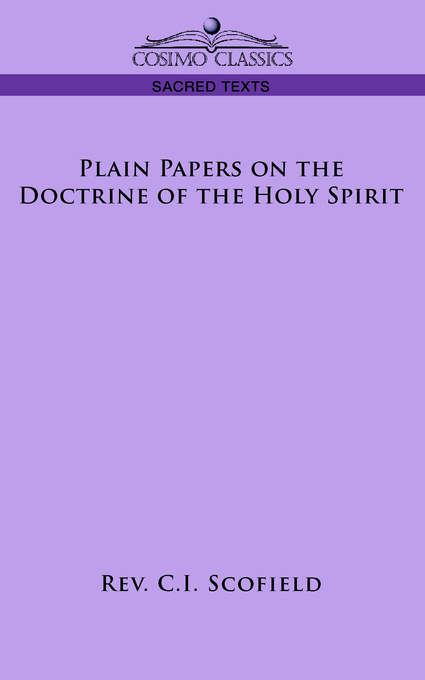 The ISBN for Plain Papers On The Doctrine Of The Holy Spirit is 9781596051300. 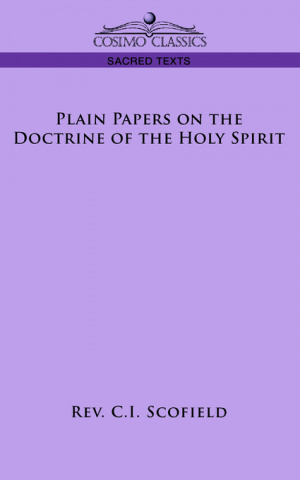 Be the first to review Plain Papers On The Doctrine Of The Holy Spirit! Got a question? No problem! Just click here to ask us about Plain Papers On The Doctrine Of The Holy Spirit.